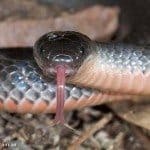 Length of a Small-Eyed Snake is up to 1 meter, glossy black, with pink, cream or occasionally grey belly, sometimes with dark spot, small black eyes. Nocturnal snake. 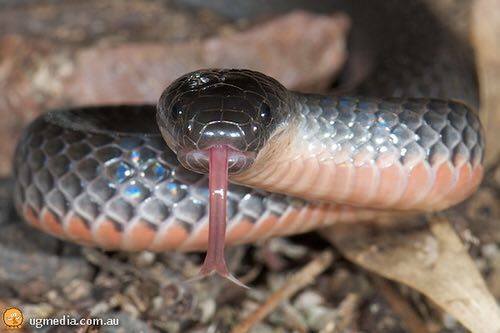 Highly Venomous bites from this species should be treated immediately, apply first aid and seek medical attention. Open and closed forest, shelters under rocks, logs, leaf litter, bark branches.